In August 2018, Ripanu’s founder conducted an investigation about the Sapara people and how they have resisted oil drilling. One of the communities visited, Ripanu, was interested in making an ecological tourism project as a strategy for halting oil drilling on their lands. Hence, the idea was co-developed to build a centre focused on the conservation of the rainforest, the teaching of controlled dreaming, and the emotional, mental and spiritual healing and rejuvenation of visitors using ancestral and natural medicine. The centre would consist of five huts for a total of 20 people. It would be built on Sapara lands, in the middle of the Ecuadorian Amazon, and promoted via a website using videos, photos and messages from the Ripanu community, inviting people from all over the world to heal, rejuvenate and dream in the midst of the rainforest of the Sapara lands. The Sapara people are an indigenous ethnolinguistic Amazonian group at risk of disappearing over recent decades, despite the fact that UNESCO proclaimed their Orality and Cultural Manifestations as Intangible Heritage of Humanity. Only four elders speak the Sapara language. 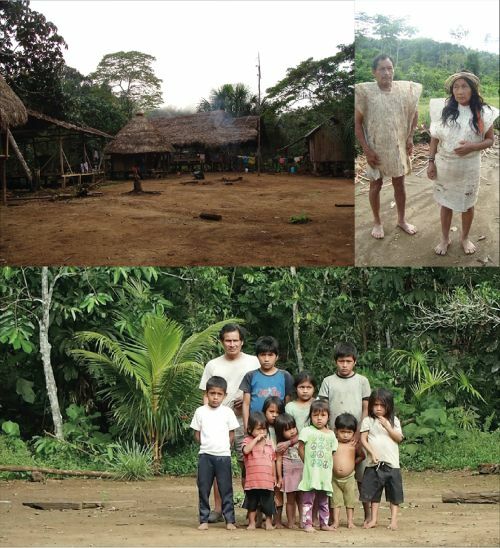 The project’s aim is to defend the ancestral lands of the Sapara people from the oil industry, regenerate the ancestral Sapara culture, and live in harmony and peace with the natural habitat.